Don’t call it a comeback, Martin Kampmann (Pictured) has been here for years. Thiago Alves was well on his way to collecting unanimous decision victory in Australia until a careless error cost him the W.
Outside of a vicious front kick to the face in the opening stanza, Kampmann wasn’t able to muster up much of an offense. Alves continued to beat him to the punch and did a masterful job of thwarting his numerous takedown attempts. 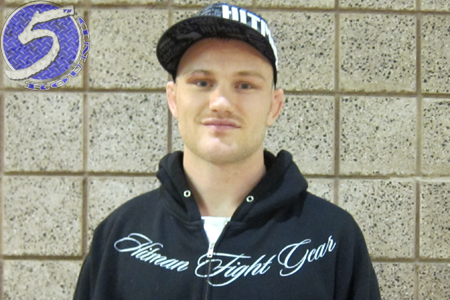 “I felt I was behind,” Kampmann admitted. “I was eating too many punches going into the clinch. The plan was to fight from the outside and then box my way in. I did a couple of times, but I wasn’t getting into my flow the way I wanted. With the clock counting down in the final frame, Alves tagged “The Hitman” with several punches and inexplicably attempted a double-leg takedown. He was a tad careless on his way to the canvas and found himself caught in a Hail Mary guillotine choke. Alves was forced to cry uncle with just 48 ticks remaining in their scrap. “Usually, I don’t like to go for a submission, because, like in the first round, he ended up on top and he was staying really heavy with his hips and keeping me down,” Kampmann added. “I felt that I really had to finish the fight and it wouldn’t do me any good to keep it standing.